Trample Darksteel Colossus is indestructible. ('Destroy' effects and lethal damage don't destroy it.) 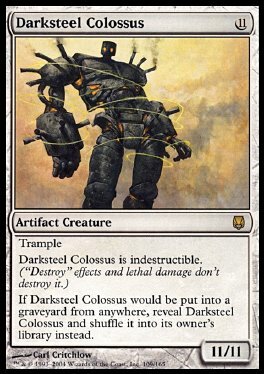 If Darksteel Colossus would be put into a graveyard from anywhere, reveal Darksteel Colossus and shuffle it into its owner's library instead.